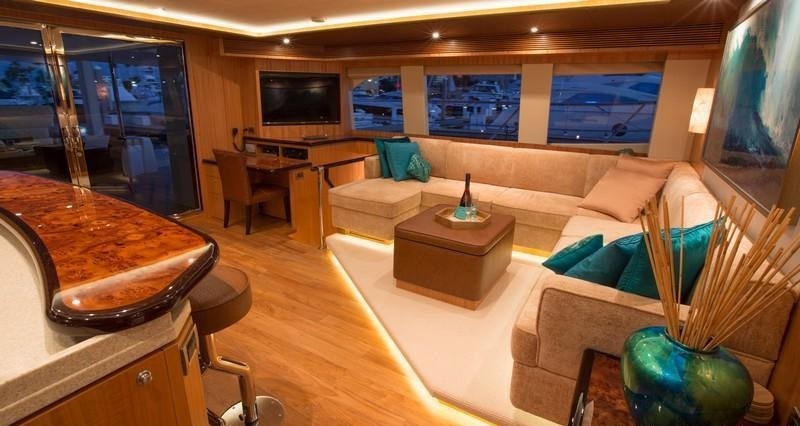 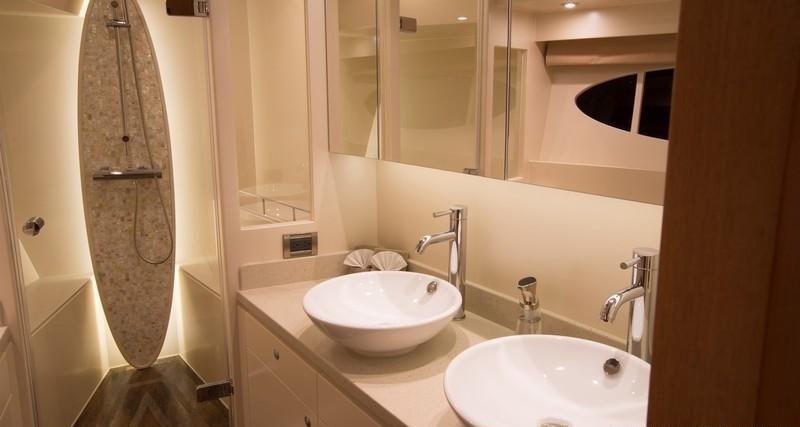 Luxury motor yacht OHANA has an elegant and warm interior, of subtle cream soft furnishings, high gloss bespoke wood joinery and honey toned wood floors. 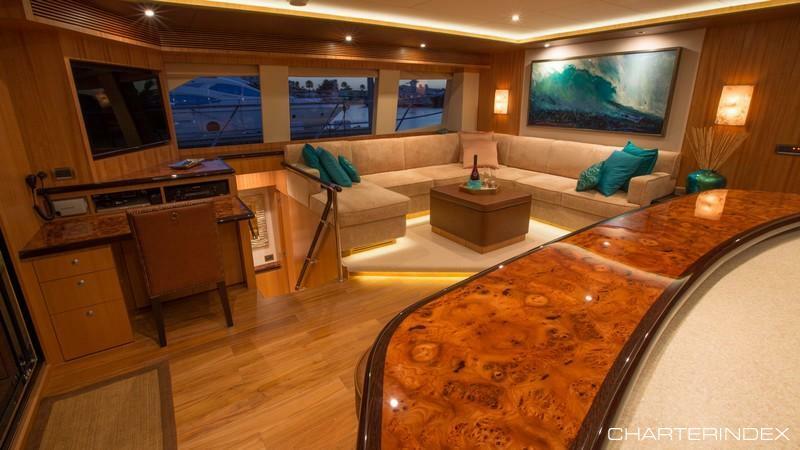 The salon is fabulous for socializing, offering a comfortable lounge, coffee table, built in TV entertainment and complete wet bar with the well-appointed galley. 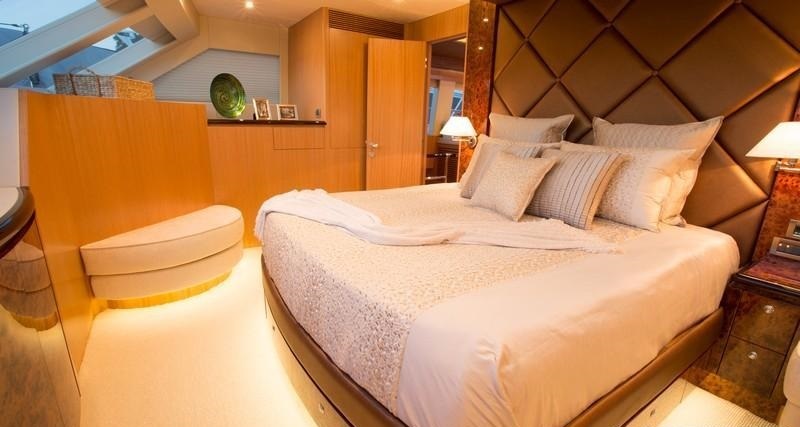 Guest accommodation is in 1 master cabin forward of the salon and 2 guest cabins, in the port and starboard hull. 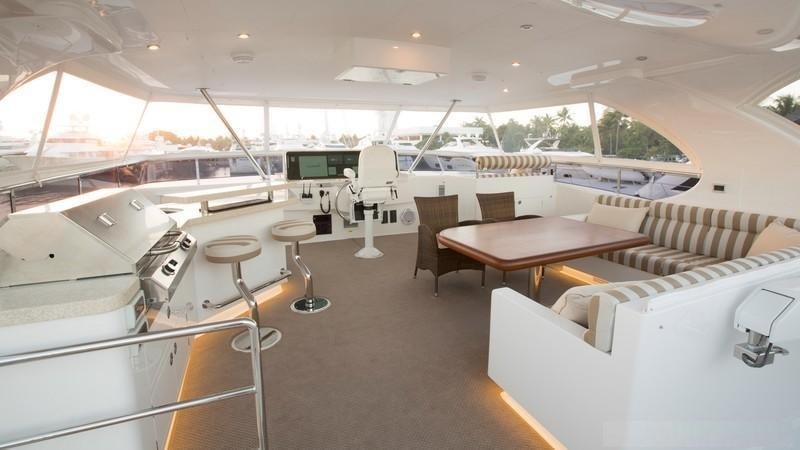 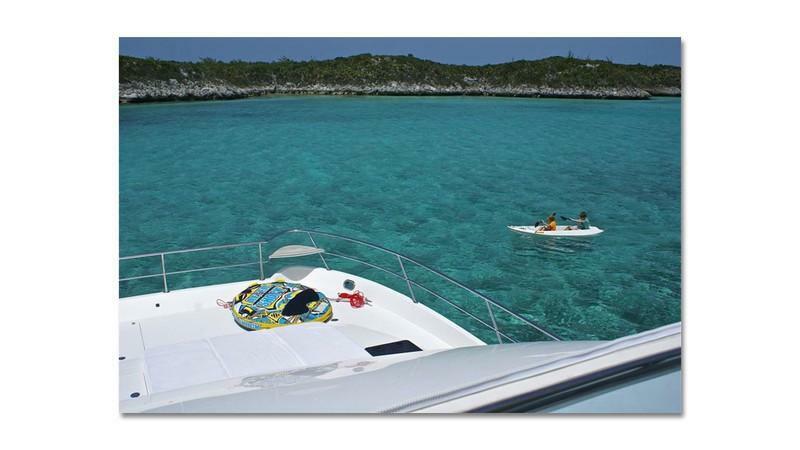 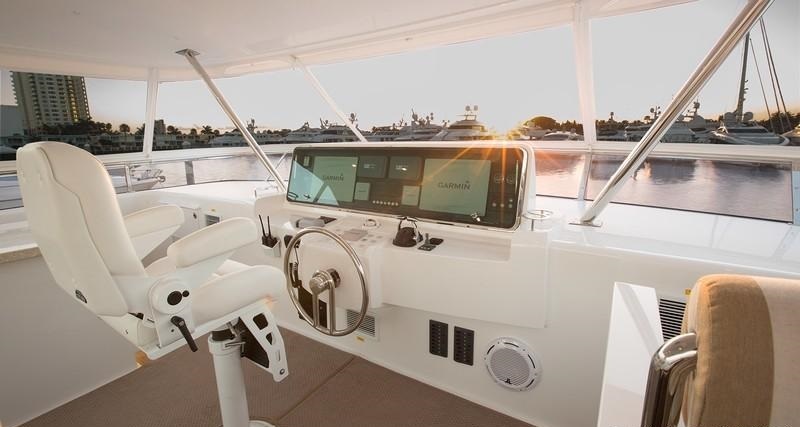 The yacht OHANA is fully air conditioned throughout. 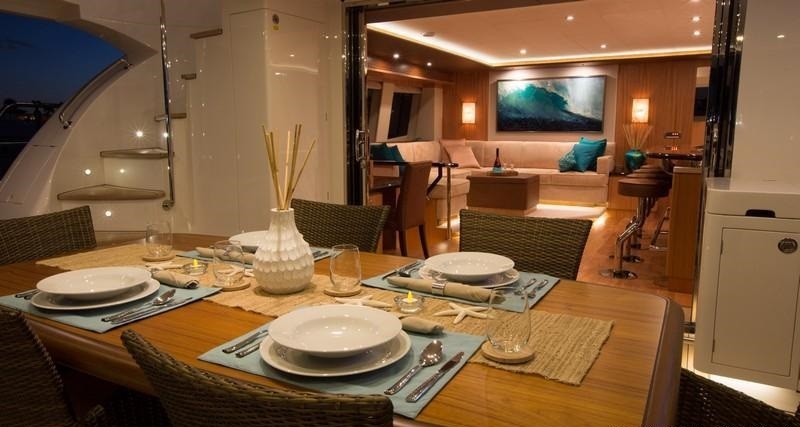 The Horizon crewed charter yacht OHANA is ideal for enjoying the outdoor life. 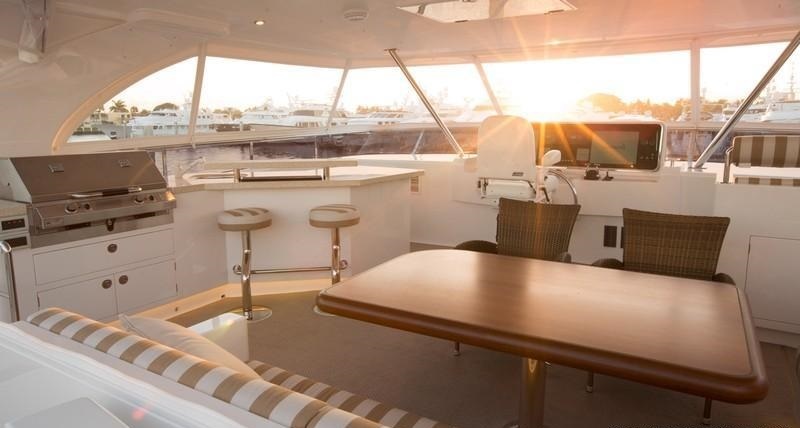 The aft deck is shaded and adjacent to the salon, featuring an alfresco dining option, seating and TV entertainment. 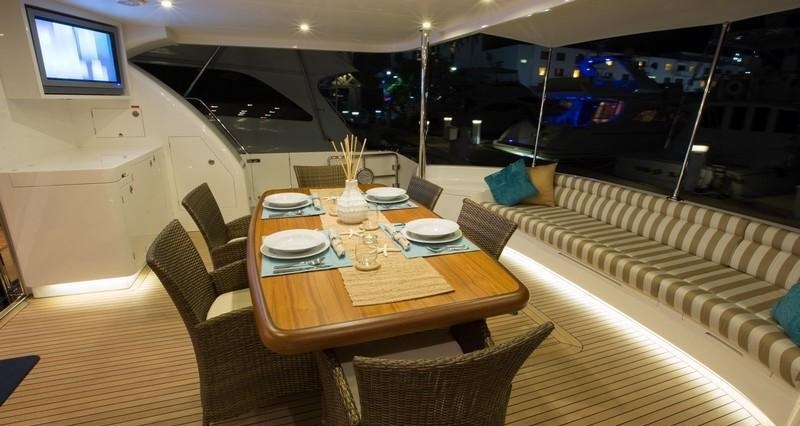 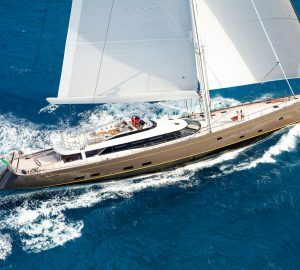 With a beam of 7.3m (24ft), OHANA offers wide side decks, leading to the spacious foredeck and 2 dolphin seats. 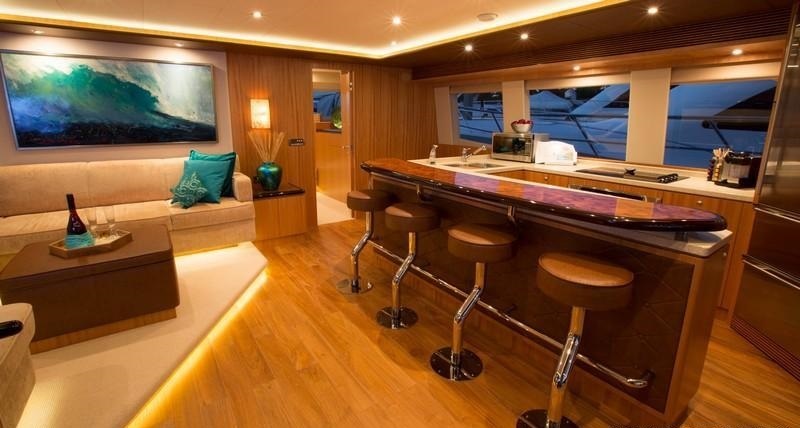 Boasting a fabulous upper deck, complete with wet bar, large stainless steel BBQ, alfresco dining option and further seating, M/Y OHANA’s flybridge is perfect for any occasion. 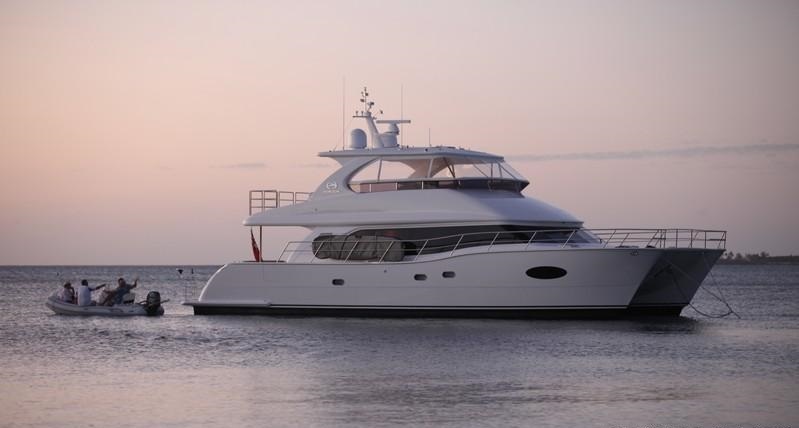 OHANA is powered by 2 x CAT - 715hp engines, cruising with ease at 15 knots, reaching top speeds of 24 knots. 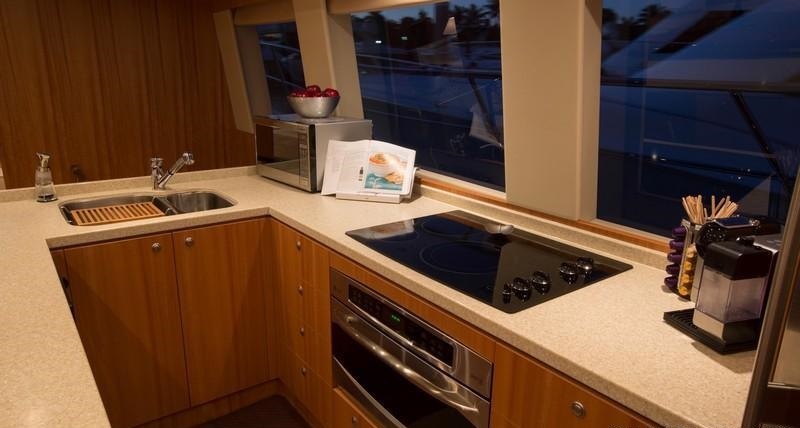 As a catamaran design, the dual hulls create a stable and comfortable crewed yacht charter experience. 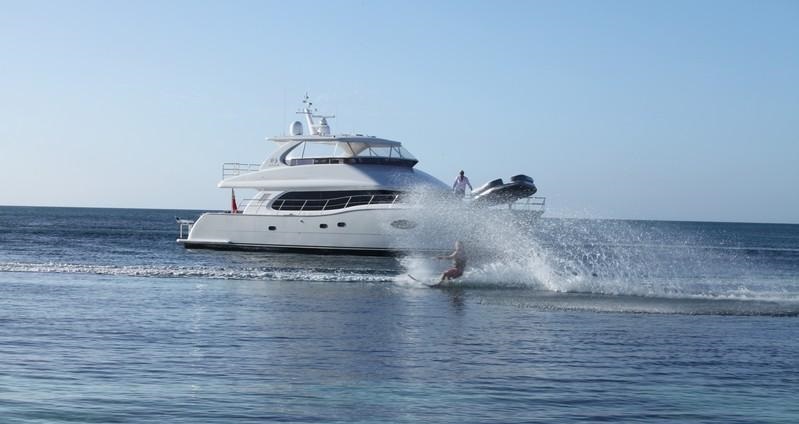 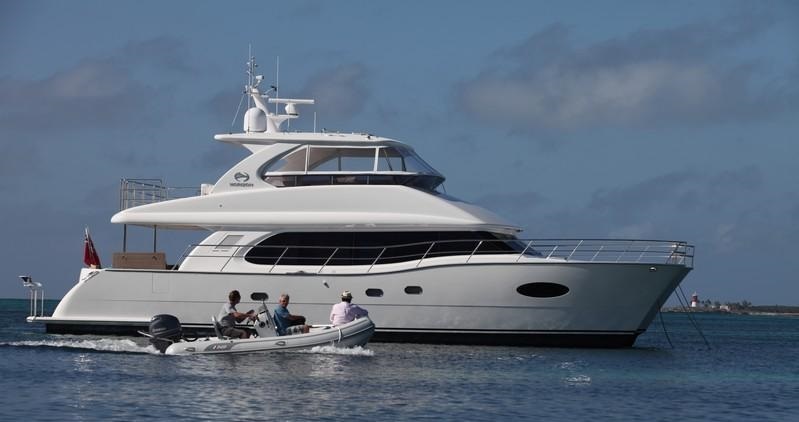 Luxury M/Y OHANA offers sumptuous accommodation for up to 6 guests, in 3 en-suite cabins. 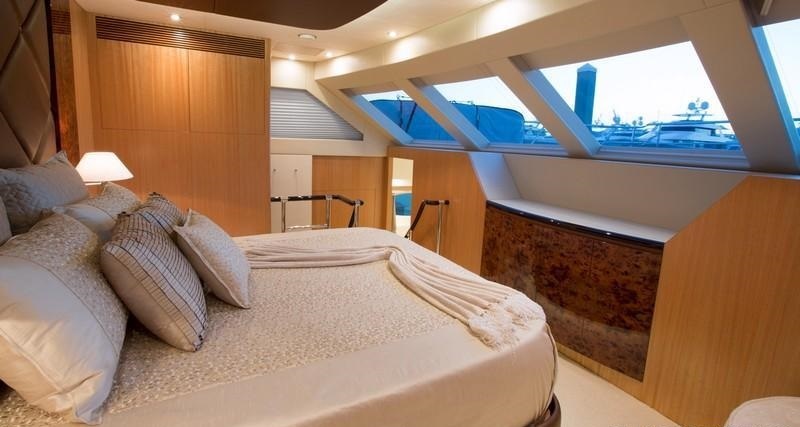 The master stateroom is forward of the salon on the main deck, with a forward facing king size bed and 180° windows. 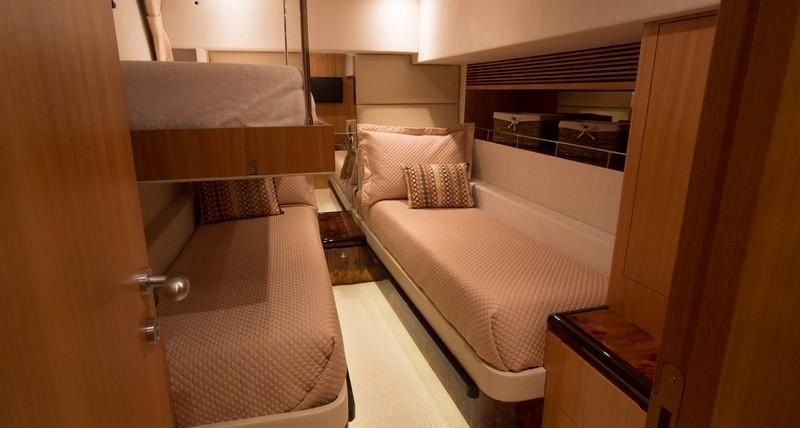 A guest cabin in the starboard hull and forward, offers a queen size bed. 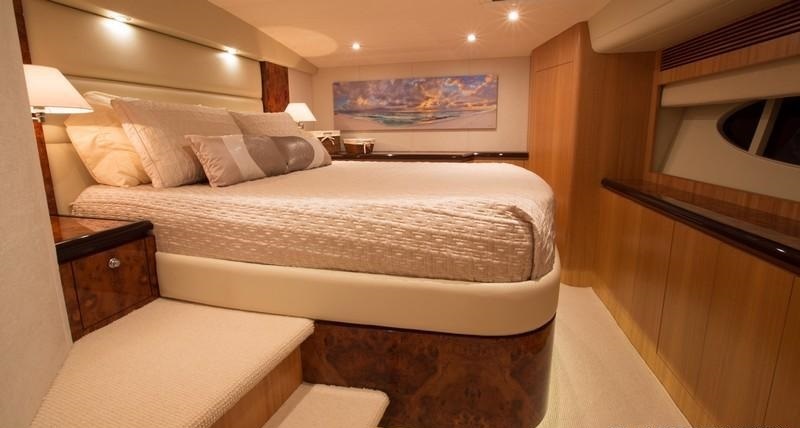 Below decks on the port side, is a guest cabin with twin beds, which can convert into a king bed if requested.